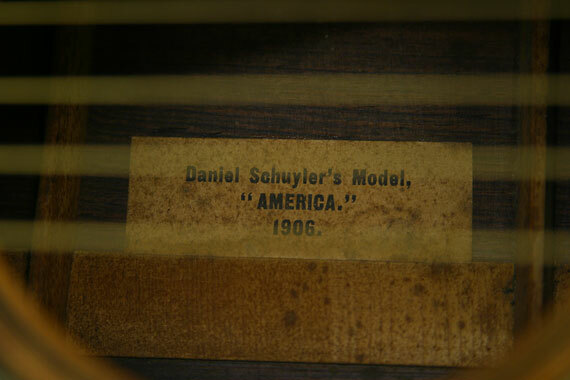 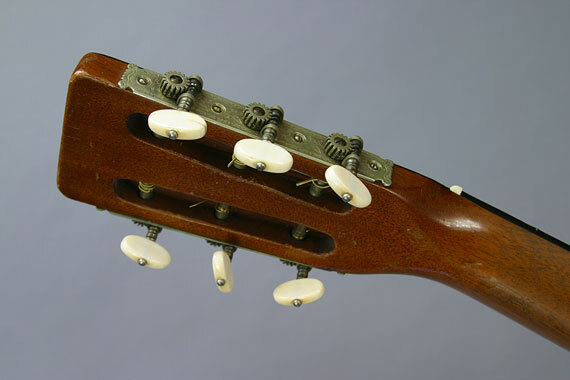 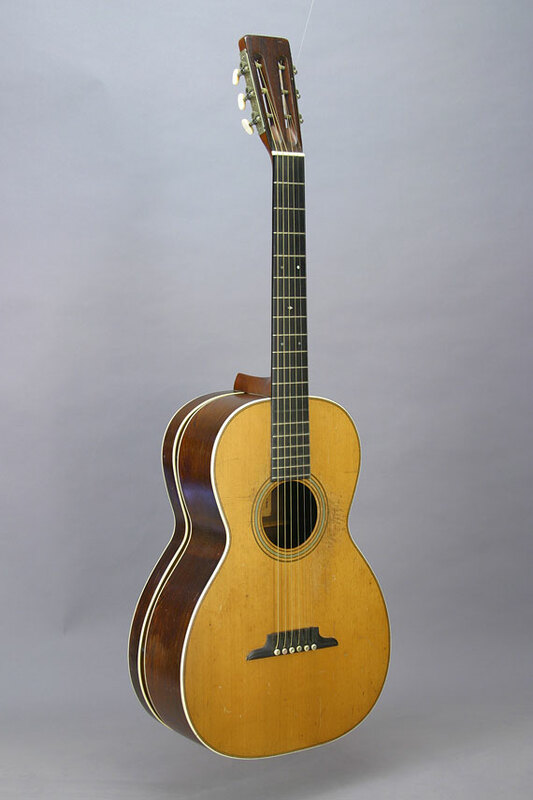 I don't know a thing about Daniel Schuyler, but it's clear he had an idea about guitar design. 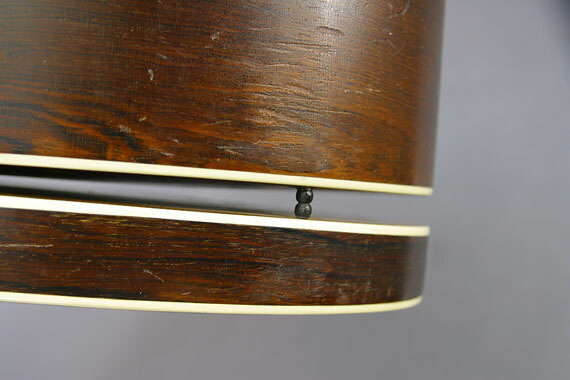 My guess is that, noticing the damping effect you get if you touch the back of a guitar when you play, he figured on having a way to reinforce the sound of the back, or at least to eliminate the problem of touching the back as you play. 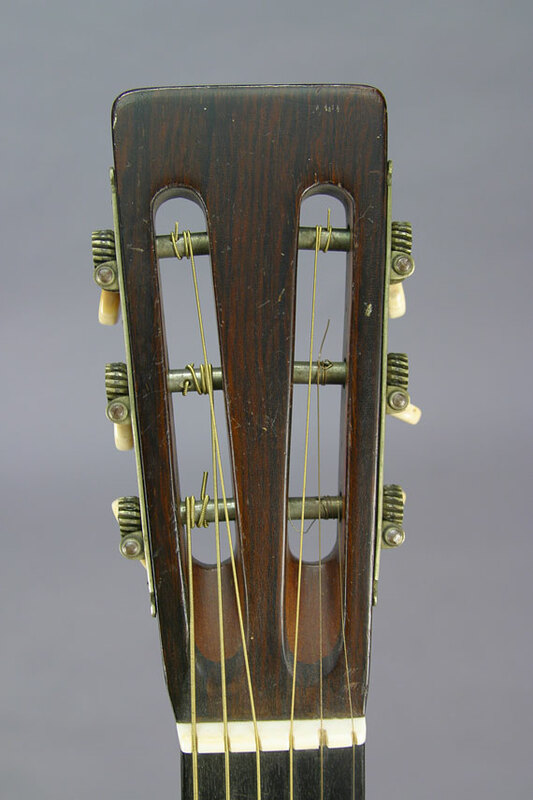 One way or another, we're left with his legacy of only two examples made by Martin, based on their popular 0-28 style. 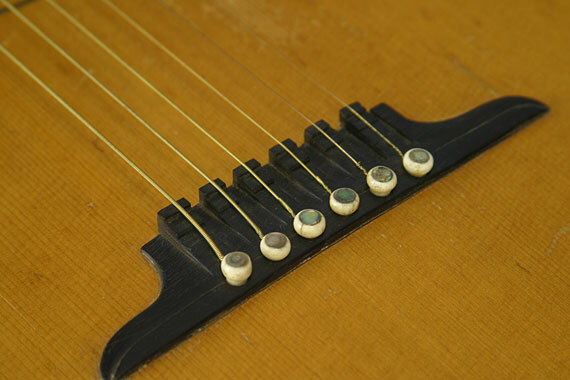 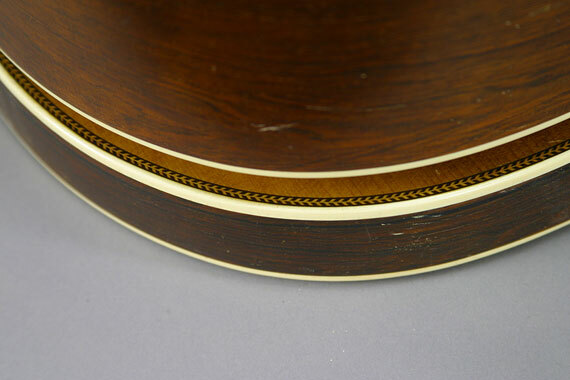 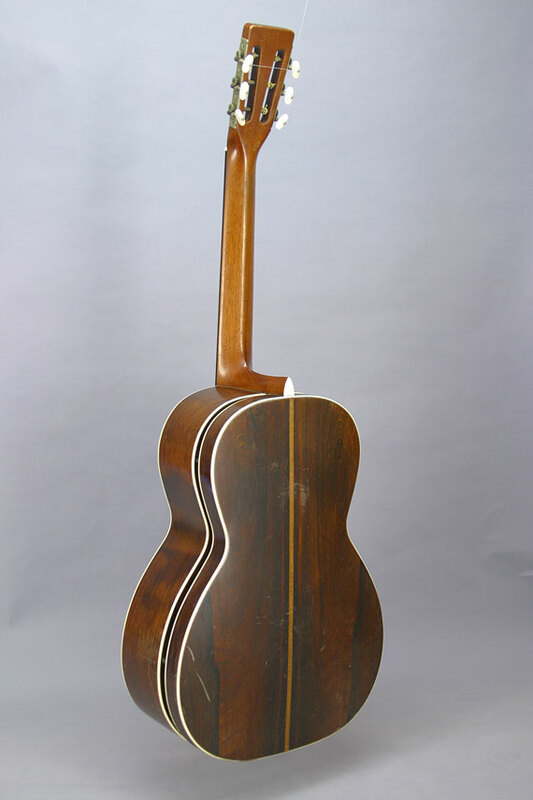 If you were to look very closely behind the back of the main body, you'd see that the second body has the full decoration, including soundhole and rings, as the front of the guitar. 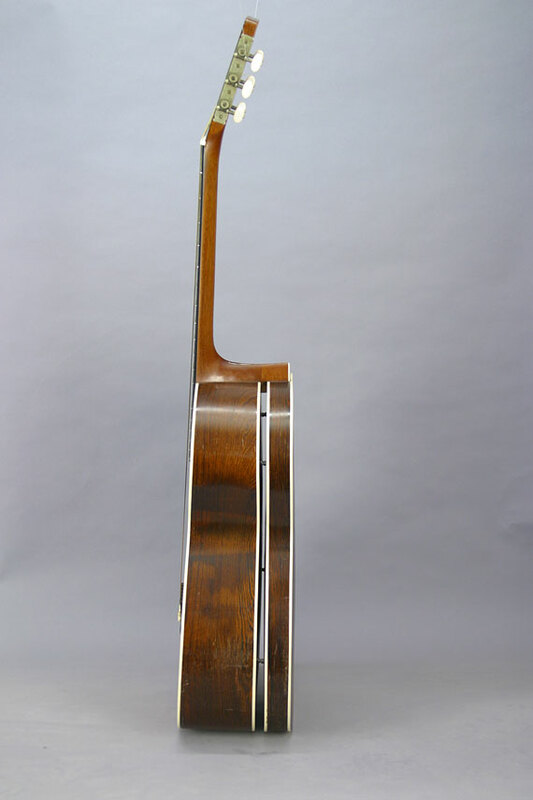 Thanks, Dan, for getting Martin to make this wonderfully weird guitar for us!